Purna Swaraj: The struggle to free India from the clutches of British had begun long time back. However the Jallianwala Bagh massacre, Rowlatt act and the Simon Commission further increased the urge among all Indians to free India. The non cooperation movement from 1920-1922 was a prominent movement to put further pressure on the British to free India. The torture was becoming unbearable. The British government failed to hear the grievances of the people. Lala Lajpat Rai who was beaten to death by British further led to fight for Poorna Swaraj. Non cooperation movement was a wakeup call for all the Indians to renounce their titles and boycott the British government and their working. Non cooperation movement was called after a mob set Chauri Chaura police station on fire killing 22 people. Gandhiji called for boycotting all British goods, legislature, educational institutes and courts. British titles and honours were renounced by the Indians. A commission was appointed headed by Simon to do reforms in the constitution of India. During this process no Indians were consulted while doing changes in the constitution. To show and prove British and Simon commission wrong an all India party conference headed by Motilal Nehru was held in the year 1928. The committee which was headed by Motilal Nehru was set up to draft a scheme for a constitution. The report recommended for dominion status for India. Most of the other parties supported the Nehru report while the All India Muslim league and Indian Liberal party opposed the report. However the British refused to accept the report. The younger generation in the congress like Jawaharlal Nehru, Subhash Chandra Bose opposed the report as they felt asking for only dominion status is not sufficient. In December 1928 congress held its session in Kolkata. Gandhiji passed a resolution stating British to grant dominion status to India within 1 year. Most of the congress members voted in favour of the resolution. However the British did not budge to the resolution. The urge to oust the British from India was increasing among the Indians every day. In December 1929, at the Lahore (now in Pakistan) session Jawaharlal Nehru was elected as the president of the congress. This session was a very important session to free India from British. 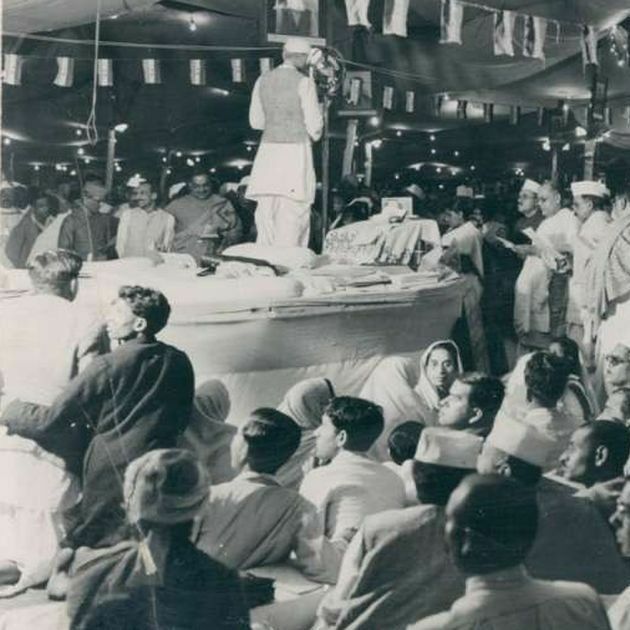 In this session congress declared for Poorna Swaraj or complete independence and hoisted the tricolour congress flag on the banks of the river Ravi. Since the British government did not grant dominion status the congress members decided to launch civil disobedience movement under the leadership of Gandhiji. It was also decided that 26th January would be observed as Independence Day every year until India got its freedom.